Men's knitted half pant available to us. Export quality. We are highly acclaimed amongst the clients for offering a quality array of Men's Knitted Short. The Men's Knitted Short we offer is demanded for its availability in various sizes, colors and designs. These products are known for providing high comfort to the wearer. Besides, one can get these products at reasonable rates. Best quality shorts for men's. 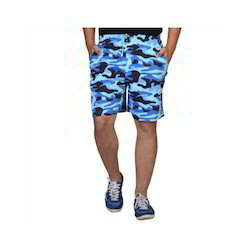 Mens Casual Shorts Manufacture In India Punjab Ludhiana. Fly High Nation Clothing Corp.